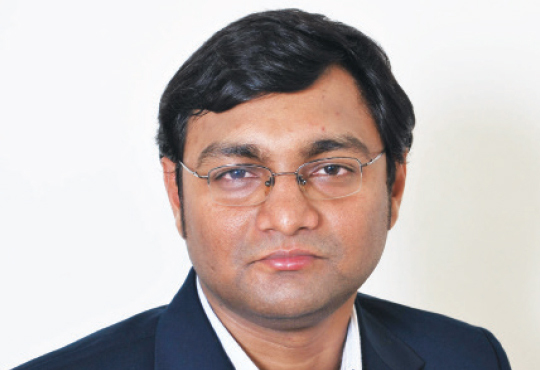 Improving Current Practices through Unified Communications By Makarand Sawant, Senior General Manager – IT, Deepak Fertilisers and Petrochemicals Corp.
By Makarand Sawant, Senior General Manager – IT, Deepak Fertilisers and Petrochemicals Corp.
Organisations today are faced with many challenges. It’s a highly competitive world in which our customers have many choices when it comes to buying any goods and services. Retaining existing customers, controlling costs and seeking competitive advantage have always been difficult goals and a challenging economic environment only adds to that difficulty. Many companies and organisations however, thrive in such circumstances and this guide seeks to show one way of achieving those goals through the effective use of communications. There can be no doubt that the pace of technological developments and change within the communications world has accelerated in recent times – the Internet alone has demonstrated this to us all and opened up a myriad of commercial opportunities – and threats for business. In today’s challenging environment, organisations need to get more work done with less resources and time. One solution many successful companies have considered and deployed is Unified Communications. UC refers to a trend to offer business process integration, i.e. to simplify and integrate all forms of communications in view to optimise business processes and reduce the response time, manage flows, and eliminate device and media dependencies. In its broadest sense, UC can encompass all forms of communications that are exchanged via IP network. UC allows an individual to send a message on one medium and receive the same communication on another medium. For example, one can receive a voicemail message and choose to access it through e-mail or a mobile phone. Here are four use cases where UC provides clear benefits and improvements over current practices. This is where UC has the greatest impact, since all employees use communications applications. For internal communication, presence is the key catalyst, since it allows employees to see the status of co-workers in real time. Not only does this technology cut down on wasted time, but by knowing which modes and team members are available, employees can choose the best form of communication for the task at hand. Unified communications benefits employees by empowering them to work effectively from any broadband-accessible location -- and today, that's a key driver for personal productivity. For most employees, the desk is just one of many locations where work gets done, and UC is built around where the end user is, rather than where the desk phone is. Aside from personal productivity, employees also work in teams, and in these settings, the need for effective communication is even more important. With today's disparate workforces and decentralized operations, teams rarely meet in-person all at once. This is where communications technology plays a major role, and businesses spend a lot of money on various conferencing services. The ROI is often disappointing because of the high cost and poor user experiences. Another way unified communications benefits businesses is the consistent end-user experience, where everyone is using the same applications and can easily collaborate in real time. Again, with presence, other users can be added quickly to conversations when needed. Higher-end UC services will have a strong video component -- including high-definition video conferencing -- and this can help reduce the need for travel to attend a meeting in person. When both employees and teams are more productive, the organization will be as well. This use case reflects the strategic value of UC, as these results have an additive impact on the business as a whole. To recognize how unified communications benefits business, however, the organization must view UC through the eyes of management, not just the IT staff. For management, communications may only have a utilitarian value, but when shown to drive productivity and better business outcomes, the UC value proposition will resonate. 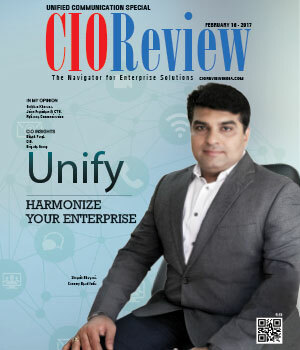 The onus will fall on IT to deploy and effectively roll out UC across the organization. However, unified communications benefits IT staff by deploying applications in a common environment. The use of third-party applications reduces the IT department's ability to monitor network usage for bandwidth management and data security. For example, BYOD policies and shadow IT present ongoing challenges for IT, as control over network resources keeps slipping into the hands of end users. IT would welcome anything to level the playing field; and with network communications management, UC is an improvement over what's in place now. Given the fluid nature of UC, these use cases demonstrate its value better than focusing on the underlying technology. UC is a strategic decision, but one that cannot be justified on numbers alone. UC's value will ultimately be reflected in employee performance. And for businesses that see a direct connection between communication and workflow outcomes, these use cases provide a solid foundation for making a decision that will serve management and IT equally well.